Given a long history of representation by others, what themes and techniques do Arab Muslim women writers, filmmakers and visual artists foreground in their presentation of postcolonial experience? 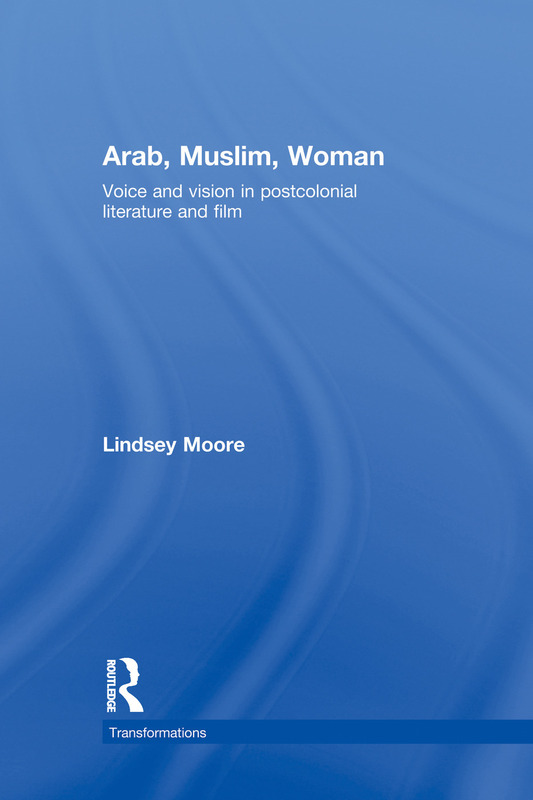 Lindsey Moore’s groundbreaking book demonstrates ways in which women appropriate textual and visual modes of representation, often in cross-fertilizing ways, in challenges to Orientalist/colonialist, nationalist, Islamist, and ‘multicultural’ paradigms. She provides an accessible but theoretically-informed analysis by foregrounding tropes of vision, visibility and voice; post-nationalist melancholia and mother/daughter narratives; transformations of ‘homes and harems’; and border crossings in time, space, language, and media. In doing so, Moore moves beyond notions of speaking or looking ‘back’ to encompass a diverse feminist poetics and politics and to emphasize ethical forms of representation and reception. Aran, Muslim, Woman is distinctive in the eclectic body of work that it brings together. Discussing Algeria, Egypt, Jordan, Lebanon, Morocco, the Palestinian territories, and Tunisia, as well as postcolonial Europe, Moore argues for better integration of Arab Muslim contexts in the postcolonial canon. In a book for readers interested in women's studies, history, literature, and visual media, we encounter work by Assia Djebar, Mona Hatoum, Fatima Mernissi, Ahlam Mosteghanemi, Nawal el Saadawi, Leila Sebbar, Zineb Sedira, Ahdaf Soueif, Moufida Tlatli, Fadwa Tuqan, and many other women. Lindsey Moore is Lecturer in English at Lancaster University, where she teaches postcolonial literatures, women’s writing, and literary theory. She has published articles on representations of Arab and Muslim women and on Arab women’s writing.